Disney isn’t slowing down on these big screen updates of their classic animated films. DUMBO just hit theaters, but we’ve already got ALADDIN on the way, and MULAN and more just around the corner. 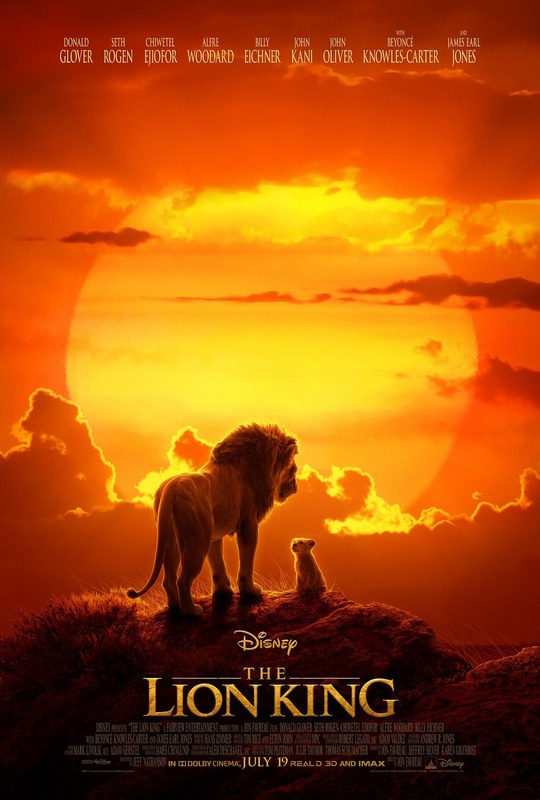 But today you can see the first trailer for Jon Favreau’s version of THE LION KING, utilizing a lot of CGI, some live action settings, and an amazing voice cast that includes Donald Glover as Simba, Beyoncé Knowles-Carter as Nala, Chiwetel Ejiofor as Scar, Seth Rogen as Pumbaa and Billy Eichner as Timon. James Earl Jones voices Mufasa again, because how could you possibly replace James Earl Jones? I will admit, this trailer really hit me hard, maybe because the original film was such a personal favorite. Check it out and tell us your thoughts in the comments.